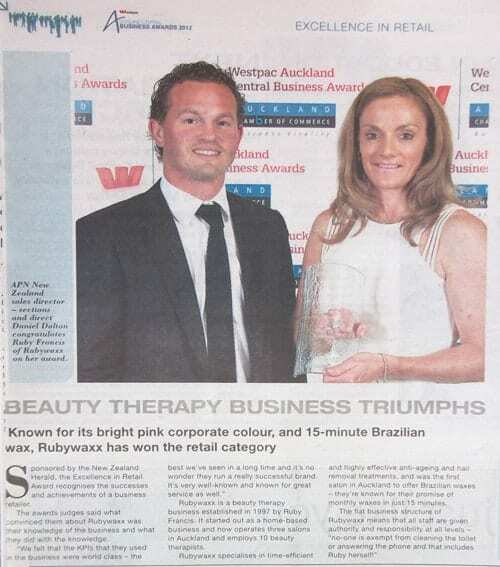 Cornelia Luethi’s longest-standing client, Rubywaxx beauty therapy salons, won the Excellence in Retail at the Westpac Auckland Central Business Awards on Friday 2 November 2012. 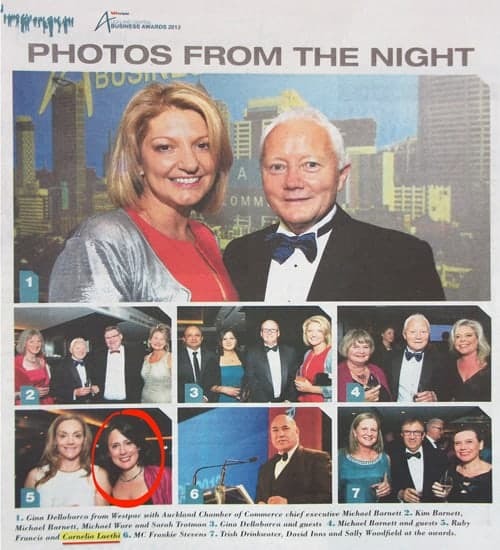 The Award was presented at a black-tie Gala Dinner at Auckland’s five-star Langham Hotel, attended by more than 500 people… and yes, I (Cornelia) got to go along too! I blogged about Rubywaxx making it as a finalist in the Awards back in August, and yep, we’ve been waiting with baited breath till now! 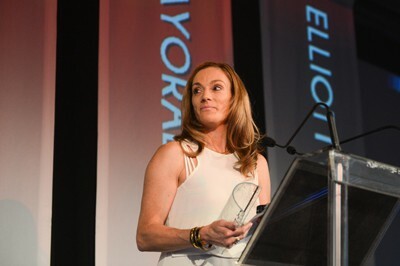 There were 111 entries across all categories, so winning the Award is quite an achievement. 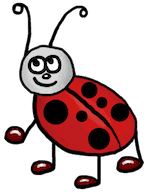 I prepared the award entry on behalf of Rubywaxx… three categories were entered in total, so this was a pretty huge task! As well as writing and structuring the copy, I did all the data analysis, created charts, took photos, and formatted the document. (It had to be nice and pink, of course, to match Rubywaxx’s pink branding!) After the event, I also wrote and distributed Rubywaxx’s media release. 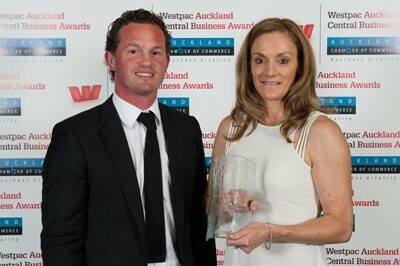 The work paid off for the client: the Excellence in Retail Award was sponsored by the NZ Herald newspaper. The prize: a $13,000 advertising package… veeeery nice! Ruby Francis of Rubywaxx making her Award acceptance speech. Daniel Dalton from APN presenting Ruby Francis of Rubywaxx with her Award. 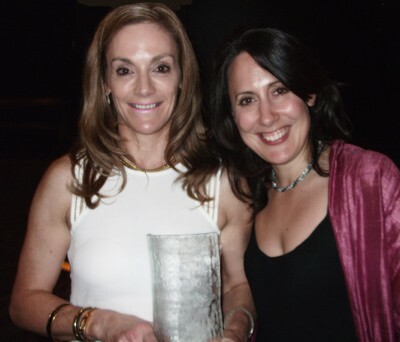 Ruby Francis and Cornelia Luethi with Rubywaxx’s Excellence in Retail Award. 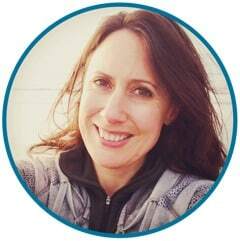 Many, many congratulations, Rubywaxx – you deserve this! If that sounds interesting, the first step would be to have an initial marketing consultation: full details and prices are here.